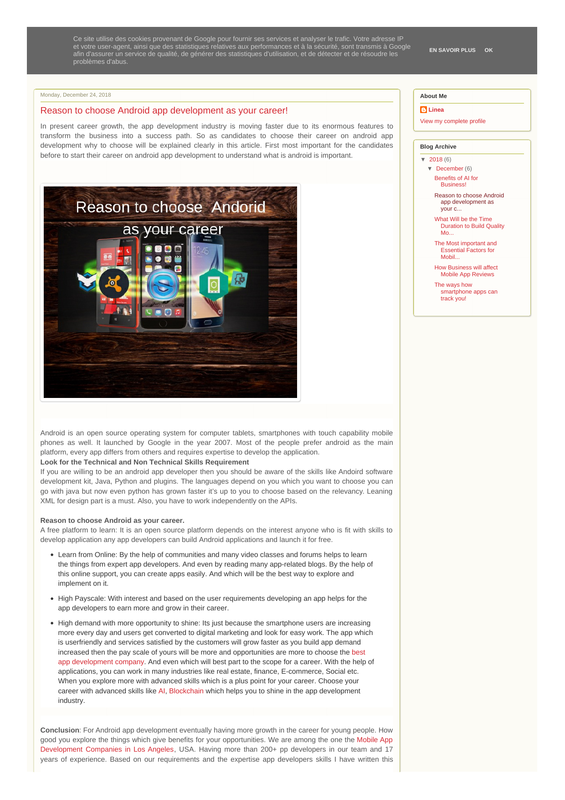 Reason to choose Android app development as your career! before to start their career on android app development to understand what is android is important. platform, every app differs from others and requires expertise to develop the application. XML for design part is a must. Also, you have to work independently on the APIs. Reason to choose Android as your career. develop application any app developers can build Android applications and launch it for free. app developers to earn more and grow in their career. applications, you can work in many industries like real estate, finance, E-commerce, Social etc.